VTech has innovative phones that work with your cell phone! VTech’s new Connect-to-Cell™ phone system (DS6421-3, MSRP: $99.95): For dads that talk primarily on mobile phones but experience problems with spotty reception or dropped calls at home, VTech’s new Connect-to-Cell™ phone system is the solution. This system can make and receive cellular calls while the cellphone is charging in a different room of the house, but with the more reliable range of a landline system. The three-handset DS6421-3 also features HD audio with an equalizer for crystal-clear clarity. VTech’s new LS6475-3 (MSRP: $99.95): Ideal for work-at-home professionals, the new LS6475-3comes with a regular handset plus a comfortable cordless headset mounted directly on the base – making hands-free conversations a snap while working, cooking or managing other household tasks. The Mom Buzz, as a multi-tasking mom, received the LS6475-3 for review. It came with Two Handsets, an answering system main base and another mobile base. The main base needs to be plugged into a phone jack but the other mobile bases simply need a plug. This really simplifies the phone jack problem in our house – where there is only a jack in my bedroom and my son’s room. But with this system we can keep the main base in my room and plug another one into the kitchen – no phone jack needed. LS6475-3 comes with a hands-free headset! The handsets are sleek and stylish. But what’s really cool is the hands-free cordless headset. This would be GREAT for dad in his home-office, so he can talk as he types. But it’s also great for moms who need to often multitask with children at home. You might find them trying to comfort a child, while on the phone with the pediatrician. The cordless headset gives these busy parents a more versatile method for maintaining their schedules and peace of mind. Plus, the headset is awesome. The sound is clear and I can even leave my house to get the mail while still using it. And it’s comfortable for whomever purchases it, since it comes with three different over the ear hooks and an over the head band. There are also four different sized ear buds. The phone comes with 2 handsets, but you can expand it to a total of 12. You can even add in another headset. That makes it awesome for a small or GROWING office. That growing office or busy house would also appreciate the push-to-talk buttons on the handsets, turning them into walkie-talkies. Finally, I just love the digital answering system. It is easy to use, has 14 minutes of recording time, no tapes and a backlit message counter so you know at a glance how many messages you have. Plus, you can even hear your messages from the other handsets – not just direct from the main base. Now, I really enjoyed the versatility of the LS6475-3, perfect for any home-office dad. But if your dad is a cell phone guy, making most of his calls to and from the cell phone, I do think that theConnect-to-Cell™ phone system is the way to go. Both phone systems retail for $99.95. This is solely the opinion of the Mom Buzz. The Mom Buzz was not compensated for hosting this promotion. The Mom Buzz did receive a phone for review. Other people may have different experiences with the product. And don’t forget to enter my other hot contests so you can win and try buzzworthy products! 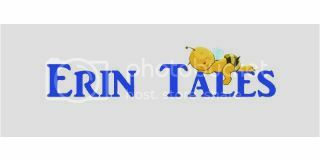 Originally published on 2011-06-09 by Erin Tales at The Mom Buzz .